The Sunday (5.3.) programme turned out to be very demanding for Ivo. 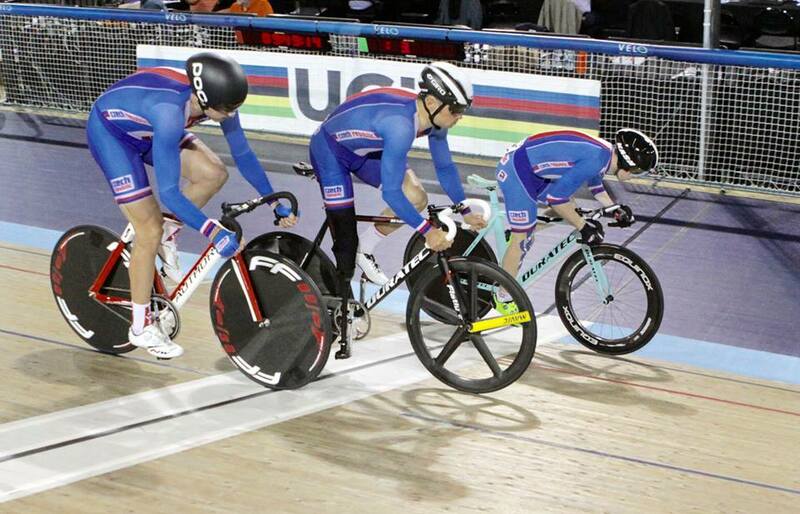 He competed in the team sprint with Jirka Ježek and Jirka Bouška, with possibility of going forward from the morning heats to the afternoon final and then a 60-lap scratch race in the afternoon. At first Ivo's start in the team sprint heat was exemplary, and it resulted in progression to the afternoon competition for bronze against the Russian team. In spite of the fact that our competitors' speed increased significantly, this time they were no match for the Russian team. Our boys took a wonderful fourth place, which no one had expected before the championships. The afternoon programme consisted of a scratch race for Ivo, which he had been really looking forward to. From the very first metres he remained one of the leaders, who only gradually absorbed the competitors during the first lap. The competitors tried to pull away, Ivo caught every breakaway like a pro, and with each successive lap it became obvious that the winner would be clear from amongst the best only at the winning line. In the last lap the race, which had been very fast from the start, got faster still, and the peloton drove for the line, which Ivo crossed in a fantastic 6th place in the merged category C1 - 3. In his C2 category Ivo achieved second place in the international ranking. All that remains is to congratulate Ivo and sum up this championship. Out of four races, Ivo won: 1 x 3rd place, 1 x 4th place, 1 x 5th place and 1 x 6th place, and so became the most successful Czech cyclist at this world championship. Once again we thank Ivo for his exemplary representation of the country.